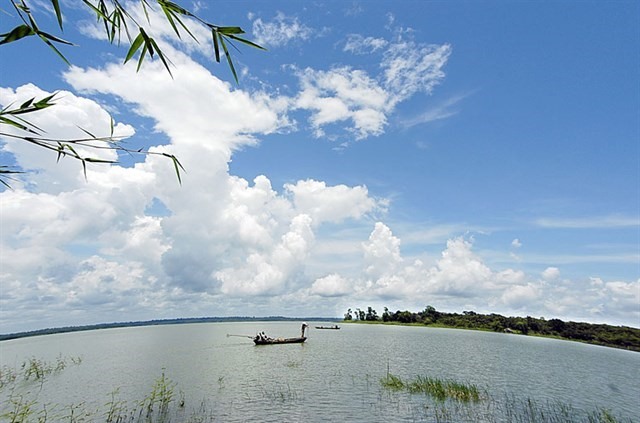 If you are seeking a tourism destination with luxurious accommodations and plenty of services, do not visit Ó (Eagle Island) on Trị An Lake in the southern province of Đồng Nai. But if what you want instead is the chance to escape your busy life, enjoy the song of birds, the light touch of a breeze and gentle waves, a trip to Ó is exactly what you need. Nearly natural: Trị An Lake is a man-made lake that exudes natural beauty with its spectacular display of the sun, sky, forest and wind. 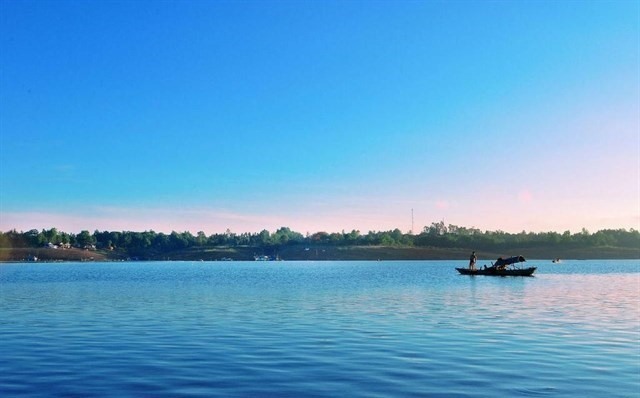 Just 60km from HCM City, Trị An Lake is man-made, created as a major hydropower reservoir in southern Việt Nam in 1982 and connected to Đồng Nai River. Yet it exudes natural beauty with its spectacular vistas of the sun, sky, forest and wind. 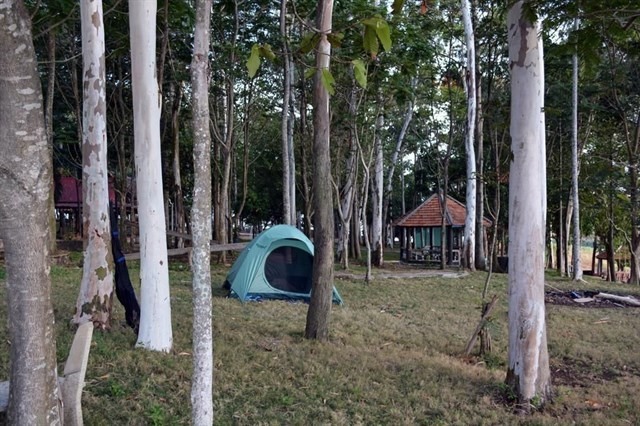 To locals, it is a great hidden spot for a quick escape from busy city life, with its breathtaking view of the mountains located in Nam Cát Tiên National Park as well as the small islands. One of the area’s attractive destinations is Eagle Island. The Vietnamese people have an idiom: “Where there is a good land, the birds will come and settle”. This island proves it, as it houses many species of birds. Driving to the lake from HCM City takes about an hour and a half, following National Road No 1 to Vĩnh An Town. From here, head to Đồng Trường wharf for a 45-minute boat ride to Eagle Island. On the way, tourists can enjoy the spectacular landscape and windy atmosphere. 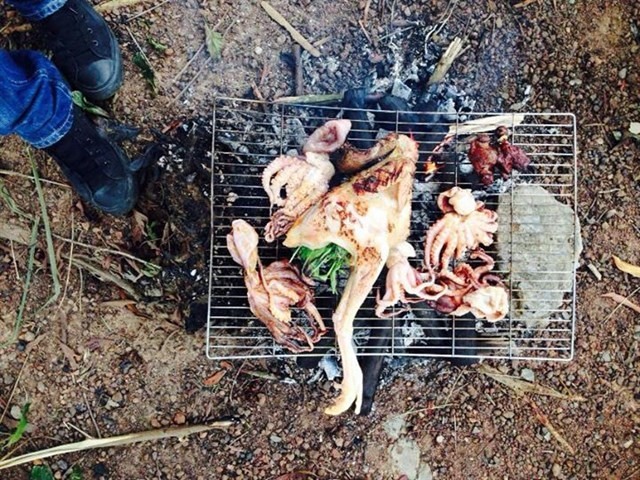 DIY: Tourists can go fishing and ask the restaurant on the island to cook. By public transportation, tourists can start from the bus station at Bến Thành Market in downtown HCM City. Take bus No 12 departing from Bến Thành Market heading to Giang Điền Waterfalls in Đồng Nai Province. From here, take bus No 19 to Vĩnh An Town. There are few rooms on the island so tourists should book in advance. Alex Nguyễn and his wife usually visit the island on the weekends for a quick break from HCM City. He always brings a tent to spend a night in the forest. “It’s interesting to lie in the silent forest listening to the sound of insects and the paddle of fishermen who head out on the lake, and the birds singing at dawn,” he said. For those who want to stay overnight outside, a boat is available for hire. The experience of sleeping on a boat under the moon and stars, swaying on the placid lake is an unforgettable one. Delicious: Bringing fresh food and enjoy self-made barbeque is an unforgettable experience. Tourists can walk around the island to relax, take a sight-seeing trip on a boat and swim in the lakes. “If you are up for a challenge, you can absolutely paddle from the ship dock to the island for two to three hours, against the wind and soft current. The return route is around 12km,” said Alex. Sunrise and sunset are the most impressive moments on a tour to the island. Since the place is generally unknown and undeveloped, guests have to bring their own supplies like food, water and other necessities. But for the adventure-seekers, fish is abundant in the area. You can catch some or ask the locals to do so and cook it, too. Cá lăng or Hemibagrus fish is the specialty fish of the lake. It can be prepared in several ways: sour soup, crispy fried, grilled with salt and chilli, and hotpot. Every day a good day: The surroundings of Eagle Island is lush and green all year round. As the scent of the dishes wafts into your nose while you sit freely under the trees awaiting a hearty dinner, you will feel like you have found a slice of heaven. 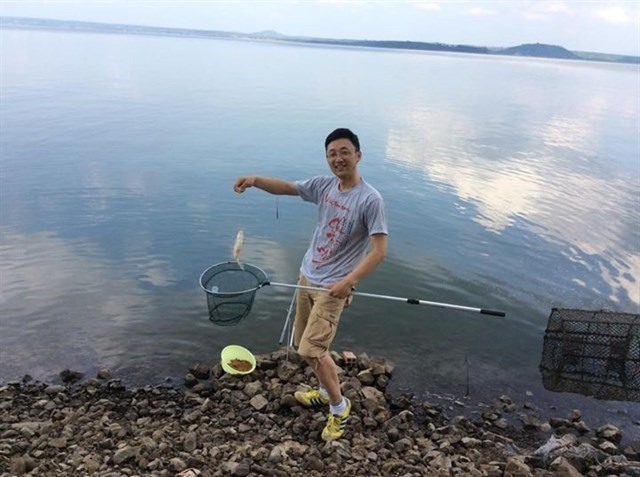 “I ordered a 1-kg fish and ordered half of it grilled with salt and chilli and half for the hotpot. It sounds like too much for two people but we still made the plates empty,” said Alex. From the Eagle Island, tourists can book a tour to visit Trị An Hydroelectric Plant and War Zone D in Biên Hòa City, a famous base during the American War.